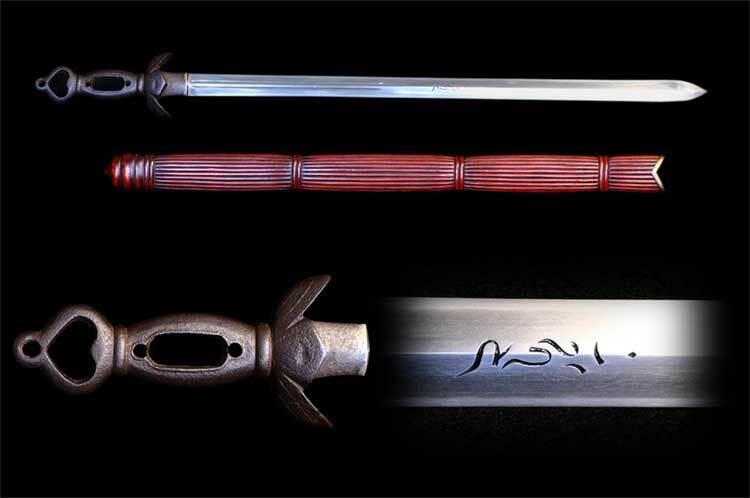 We are thrilled to present 2 Sadakatsu blades. 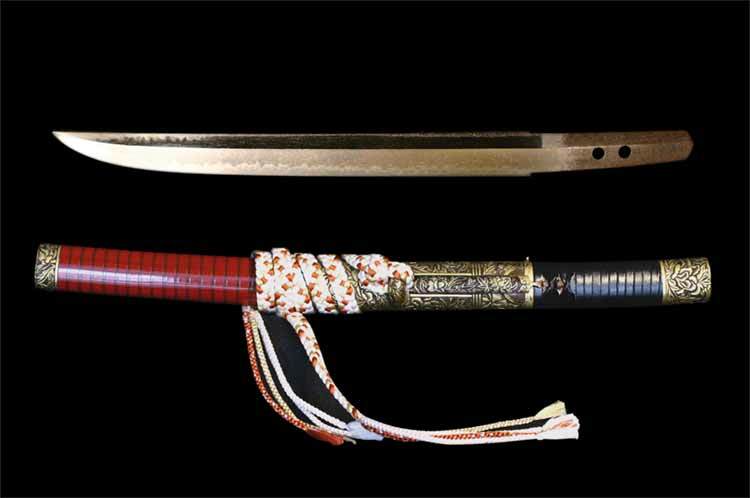 Sadakatsu was the sword maker to the Imperial house hold and made many masterpiece blades for the Emperor. You have to check it out!!! I have not seen a piece of his dated later than this. It may in fact be his last. If anybody has knowledge of a Sadakatsu dated later than this please let me know. Recently a friend of mine acquired a very interesting sword that I want to share with you. 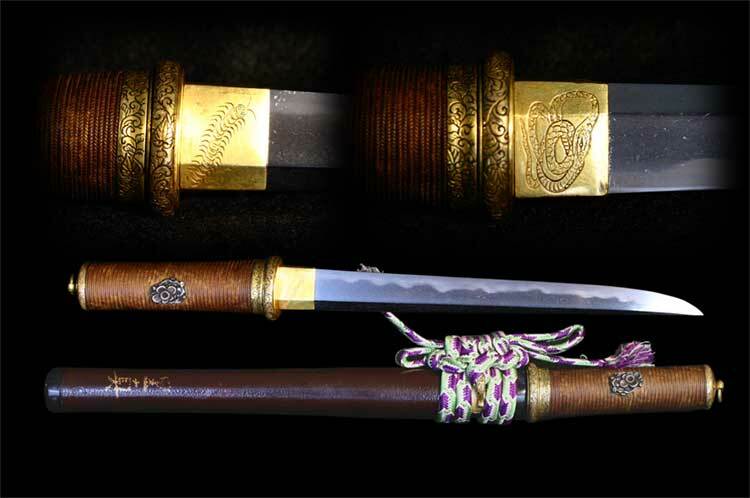 Great work by Kajiyama Yasunori one of the founding smiths of the Nihonto Tanren Kai or Yasukuni Shrine Sword Works. The handle is actually an extension of the blade. Blade length is 21 inches. A Shinto period piece. Tanto is in perfect polish. Blade length is 7 1/8 inches. A Shin-shinto period piece. All matching Kosherai including kozuka and kogai. Perfect polish. Blade length 10 1/8 inches. A late Shinto period piece.